Doing any camping this summer? If so, you might be looking for some tasty treats that go beyond the basic s’mores. 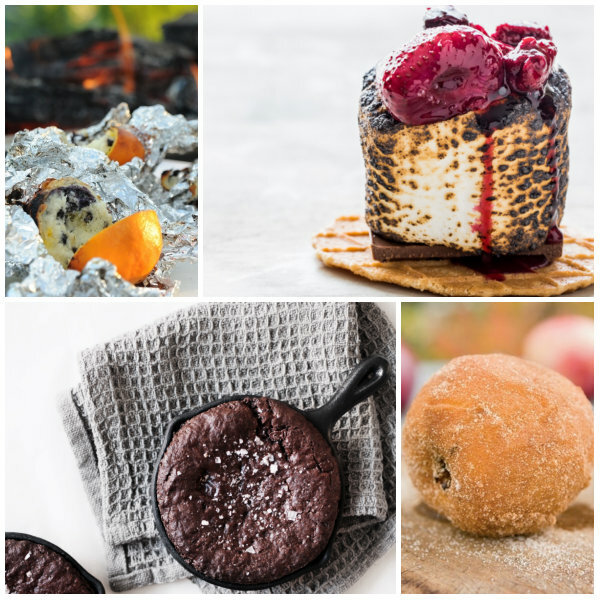 Kick it up a notch with some of these campfire baked snacks. 1. Bake muffins in an orange! What a great camping hack. 2. I love these elevated s’mores. Belgian cookie crackers, giant marshmallows, chocolate, and strawberry sauce. 4. Baked apples, rolled in cinnamon and sugar. This entry was posted in Food, Outdoor, Summer, Sweets and tagged apples, bake, baked, camp fire, camping, elevated, in an orange, muffins, skillet brownies, smores, strawberry sauce, summer, sweets, treats. Bookmark the permalink.